20160617-OSEC-LSC-0260 | Flickr - Photo Sharing! USDA once again will lead the 2016 Feds Feed Families (FFF) campaign with the support of the Chief Human Capital Officers Council and other agency partners. The campaign will run through August 30, 2016. Launched in 2009 as part of President Obama's United We Serve campaign, Feds Feed Families was designed to help food banks and pantries stay stocked during summer months when they traditionally see a decrease in donations and an increase in need. In Washington, D.C., the Capital Area Food Bank receives collections and distributes them through its network of more than 500 partner organizations. Through the amazing generosity of federal employees, since 2009 the food drive has collected nearly 57.2 million pounds of food for those in need. Last year alone, more than 17.9 million pounds were donated and provided to food banks and pantries. All Federal agencies, including field components, are asked to participate in the campaign. The field agencies will share their collections with their local food banks with the goal of ensuring that the FFF campaign will stretch across America and be visible and active in every state. As in every year, employees are asked to bring non-perishable food items and place them into a designated collection box located in the Federal workplace or take them directly to a local food bank. Donations of fresh food (fruit, vegetables, herbs, nuts) can be made directly to a food pantry in your community - please visit www.ampleharvest.org to find one near you. 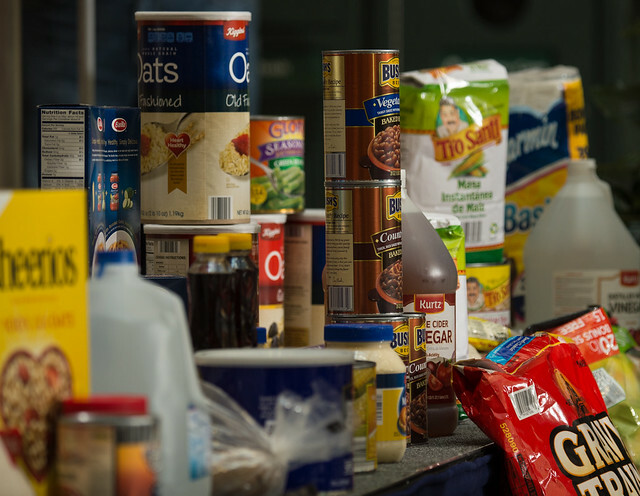 Learn more about most wanted items in area food banks from the Capital Area Food Bank . For those outside of the National Capital Area, visitwww.feedingamerica.org for a list of regional food banks (non-perishable food only) or www.ampleharvest.org , for a list of local food pantries (fresh produce as well as non-perishable food) in your area to partner with and to send donations. They assist with arranging pick-up and weighing of your donations. In 2016, as part of Feds Feed Families, employees are encouraged to take advantage of gleaning (clearing fields of unused produce). Field employees can reach out to Society of St. Andrew for gleaning opportunities in their area. The Mid-Atlantic Gleaning Network (MAGNET) is another great partner at www.midatlanticgleaningnetwork.org . Volunteers can pick, sort and deliver fresh produce to food banks, churches and other partners. USDA Media by Lance Cheung.